For a long time, MX player was the name that came to mind, every time someone asked me for a good video player for Android. It’s highest rated video playback app on the Play Store, with over 500 million downloads. However, things may change quickly as the numero uno video player has been bought by Times Internet, one of the largest media companies in India, for a reported price of $200 million. While Times Internet may decide to leave the app as it is, I believe they will be merging its tech and team with their own to ramp up their OTT (Over the Top) video streaming service. This leaves millions of users in the dark as to which video player should they use when MX Player is gone. Here are some of the best and free alternatives to MX Player app that will help you stream and watch videos on your Android phone. VLC has ruled the video players market for Windows for a long time. Needless to say, the VLC for Android, though arrived a little late to the scene, immediately captured the market with a simple interface and a robust feature set. Just like the PC version, VLC for Android can play any file format that you can think of including H.265 encoded ones. There are gesture controls that work exactly like on MX Player allowing you to control playback, sound, and brightness/contrast ratio. VLC shines in the picture-in-picture mode which is lacking in MX Player (requires Android 8.0 or higher). What this means is that when you enable this option, the video player will detach itself from the screen and float. You can now drag and place it anywhere on the screen you want. Useful when you want to browse your emails while watching a video or quickly respond to a message. Other notable features include background video playback useful for audio files, hardware acceleration, video streaming from a network, and ability to accessing remote files from a local network. The only issue I faced was that there is no folder view available. Instead, VLC offers a Directories option which you can use to browse folders with media but it is somewhat limited. Also, I found that MX Player used less battery than VLC, although the difference is negligible and most users won’t even notice it. 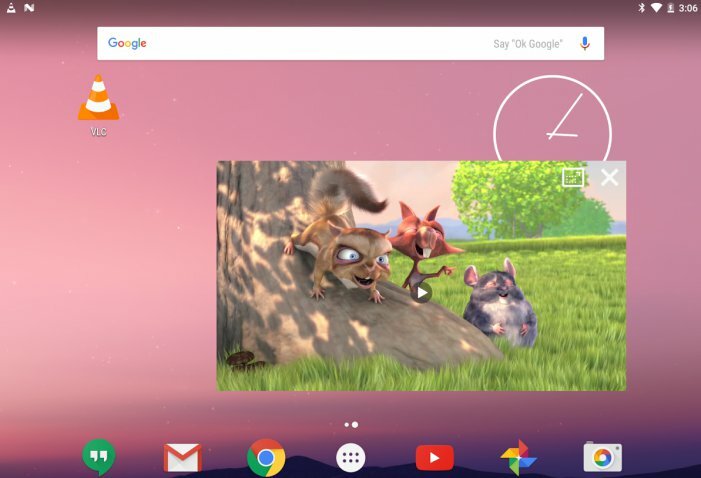 Bottom Line: VLC for Android is a great alternative to MX Player and though it offers features and is proven to be reliable, there is nothing additional it has in store for users. HD Video Player is a worthy contender that takes a different approach. The first thing it does when you launch the app is to scan your device for all the videos and display it under the Video tab. There are two other tabs available – Recent and Folder. Pretty self-explanatory. Under the Media option, you will see even more options like Artists, Albums, Songs, Genres, and Playlist. 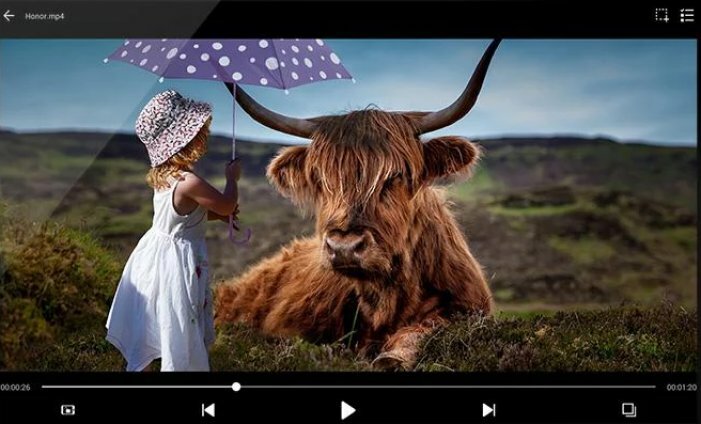 Clearly, HD Video Player was built from scratch with both video and audio in mind, making it a more suitable option if you carry an audio library on your mobile instead of using a streaming service. There is a Media Safe option which acts as a digital locker for all sensitive audio and video files that you may have on your device. 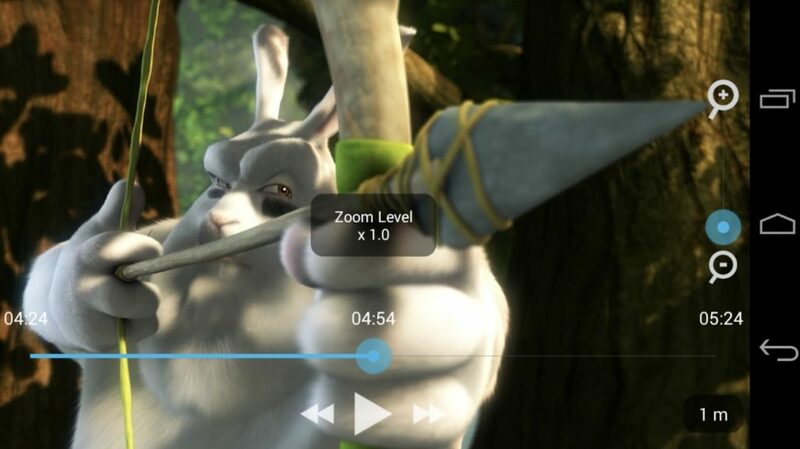 These additional features make HD Video Player one of the better alternatives. I wish it had a better sounding name too. Other than that, it offers everything that VLC has to offer like multiple file formats, decoding, and touch features. One thing it misses is the picture-in-picture mode. Also, videos do not play in the background while the audios do. Just something you should know. Bottom Line: HD Video Player offers everything and then some more. I like the way it presents the data and the ability protect private videos. KM Player, like VLC, is available for a number of platforms including Android. 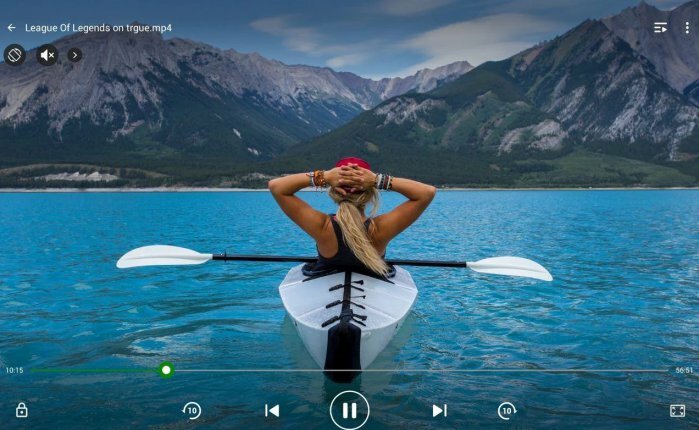 KM Players functions a lot like HD Video Player where you will notice different tabs like OverView, Camera, and WhatsApp. This makes it easy to find videos based on the app you are using. There is a separate shortcut for audio files however there are no tabs here. KM Player shines in the cloud department. You can access video and audio files from Google Drive. You will have to login from within the app to give it the necessary permissions. KM Player uses KM Connect which basically allows you to browse videos on your PC using LAN connection. You will have to download and install Connect on your PC. This is in beta though and apps like ES Explore can connect directly without the need for installing another tool. Duh. While testing, KM Player handled everything I threw at it. The experience was smooth and lag-free. One feature that I really liked was the ability to control syncing of subtitles. You know those times when you are streaming a movie and the subs are displayed a sec late? This is for those times. It also supports floating screen for multi-taskers. Note: There is a feature called Mirror Mode but during my tests, it was missing. Bottom Line: KM Player takes things further by adding support for Google Drive and ability to sync subtitles. A solid video player that can handle all formats. Frequent pop-up ads can be a little annoying though. XPlayer is a great alternative to MX Player. When you search for XPlayer on the Play Store, you will see Video Player All Format. I don’t know why the name was changed. Maybe it helps them rank higher in search results. XPlayer supports all video formats and 4K videos as well. There is a private folder for your, ahem, private videos. You can download and sync subtitles. The only video player app that allows you to download subs. Like subtitles, sometimes, the audio is also out of sync. XPlayer will also allow you to sync the audio. You see a verticle list of options like Recent, Camera, and apps that support media content like WhatsApp. Although they are not advertising it, it also comes with an equalizer which actually makes it the only video player app that is also good for listening to music. It comes with Quick Mute and Night Mode options, however, misses the floating screen. Between you and me, I don’t really use the floating screen. It is ad-supported, however, there are no banner ads. Instead, there is a floating ice cream cone, and if you click on it, you see ads. Cool. Bottom Line: XPlayer has it all. Additional features like equalizer, private folder, download subs and additional on-screen options. One thing that MX Player has while none of the other apps mentioned in this list supports is zooming and panning. MX Players allowed users to zoom in on content and then pan around the screen to see small objects. This particularly useful when you are using a mobile device. They tend to have smaller screens. While Zoom Player solves this issue, it has little else to offer in terms of advanced features that we saw and discussed in some of the other apps above. Not a substitute but more of a niche video player. I like XPlayer because it allows me to search and download subs, offers a private folder with PIN support, and handles all formats like a champ. A complete video player in my opinion. We saw that some players support audio files differently, even include an equalizer. Their intention is to offer users a single interface for both but a standalone music app like Poweramp is always better. 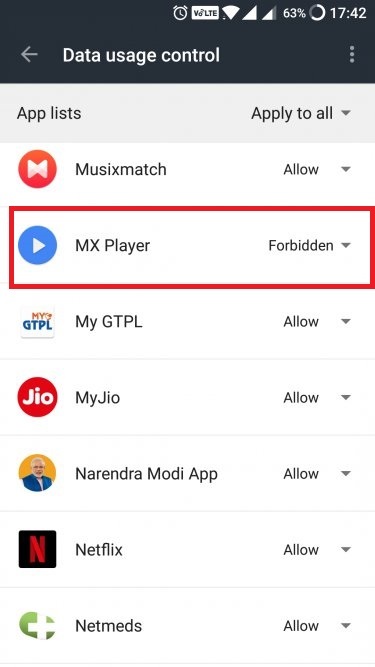 Meanwhile, if you still want to continue using MX player, what you can do is, deny the Internet permissions from the settings, and take a backup of the current app.